THE ending of the profitable and long-established Shannon to Heathrow service by Aer Lingus has been quickly followed by the announcement from Ryanair that it is to axe the company’s Shannon to Dublin service on 3 February. This is a significant blow to the airport as the Shannon to Dublin route was seen by many as a gateway for the region to connect with Heathrow and onwards to the rest of the world. 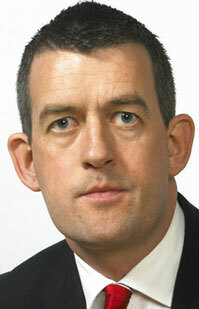 Quinlivan said that the loss of the Aer Lingus route, as Sinn Féin has consistently argued, has the potential to seriously damage the well-being of the mid-west region. All stakeholders are all well aware of the potential for damage to business, tourism and our ability to attract inward investment, he said. “Shannon to Dublin and onwards was one option open to people trying to maintain connectivity following Aer Lingus’s action. I know many people who had planned to use the Shannon to Dublin route as a means of getting to Heathrow and using Heathrow’s links to the rest of the world. This really reinforces the folly of privatisation. If Aer Lingus had remained in state control it could have been used as a tool to promote proper, balanced regional development.